When you are planning a shower door replacement near Houston, you may want to consider treating your new shower doors with EnduroShield. EnduroShield is an innovative product that your glass company may have to offer you. This glass product enhances shower enclosures so that they offer simple and easy clean up. In addition, EnduroShield can also reduce your needs for glass shower door repair in the future. With an EnduroShield installation, you can help your shower doors look their best for many years to come. Let’s take a look at some of the great benefits of planning an EnduroShield installation for your bathroom. EnduroShield is appropriate for use on a variety of surfaces throughout your bathroom. For example, you can choose to treat your shower doors or mirrors with the EnduroShield product. Once coated with EnduroShield, these surfaces will have a layer of protection that repels water, dirt, and soap scum. Along with protecting your shower doors and mirrors, EnduroShield can also be used on your porcelain basins and tiles, as well as your floor and wall tiles. One of the many advantages of EnduroShield is that this product will make cleaning your bathroom a breeze. After your EnduroShield installation, you will be able to completely clean your bathroom with the simple wipe of a microfiber towel. In fact, EnduroShield has been shown to reduce bathroom cleaning time by as much as 90 percent. 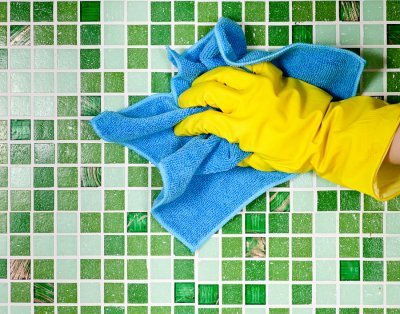 By helping you save time when you clean your bathroom, EnduroShield is a terrific investment for your home. If you have decided that EnduroShield is the right choice for your bathroom, you can look forward to an easy installation process. When you set up an EnduroShield installation, a technician will be able to perform this service over the course of a single day. After your bathroom has been coated with EnduroShield, you can look forward to many years of worry-free cleaning and maintenance. When you are planning shower door replacement, you may want to consider constructing a glass shower enclosure in your bathroom. There are many advantages to installing a glass shower enclosure. Unlike shower curtains, glass shower enclosures are incredibly easy to clean. When you install glass shower doors, you can reduce mold and mildew in your bathroom. Along with their ease of maintenance, glass shower enclosures also provide an elegant and refined look to any bathroom. If you have installed a quality shower space in your new bathroom, you can show it off with a glass shower enclosure. Finally, a glass shower door will create a waterproof seal for your shower. This will eliminate water on your floor, which will in turn make your bathroom safer for your entire family. A company offering shower door replacement near Houston can help you select the perfect glass shower enclosure for your bathroom space. Why Do Shower Glass Doors Break? A broken glass shower door is a serious safety concern for any household. If your shower doors suddenly break, it is important to schedule glass shower door repair services right away. By trusting your repairs to a highly rated glass company located in Houston , you can rest assured that your new shower doors will be safe and shatter resistant. In the event that your shower doors break, it is important to know what safety steps to take until your broken glass repair company arrived. Let’s take a look at some of the reasons why glass shower doors can break. Many shower doors are made out of a product called tempered glass, which is designed to shatter into many different small pieces. During the manufacturing process, tiny flaws in the tempered glass can create a safety hazard. After a shower door has been installed, these tiny flaws can cause the door to spontaneously break. 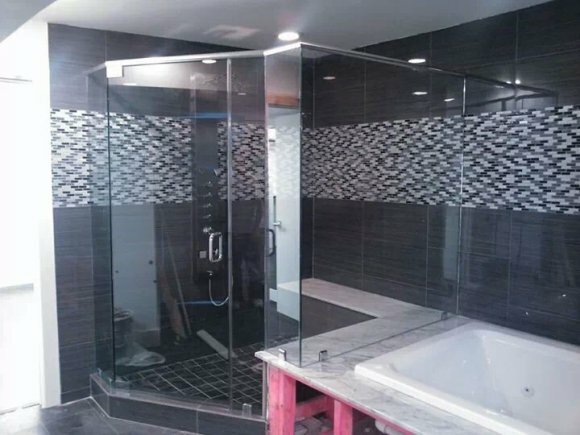 To ensure that your shower doors are not flawed, it is a good idea to work with a reputable glass company for your installation. Along with flaws during the manufacturing process, improper installation can also cause glass shower doors to break. During a shower door installation, it is of the utmost importance that your technician takes care not to damage the edges of the glass. Even the smallest chips in the edges of the glass can cause a glass shower door to break in the future. 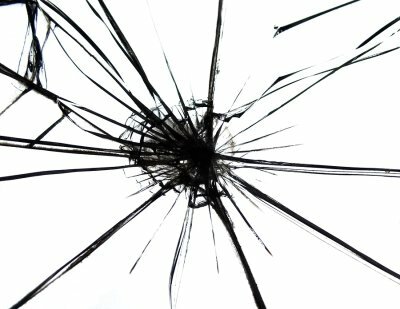 To prevent a shattered glass door in your bathroom, it is important to check your doors for damage on a routine basis. If you notice any chipping or damage on the outside edges of your doors, it is time to schedule professional repair services. In addition, you can prevent damage to your shower doors by treating their outside edges with a safety film. Soap scum is a filmy layer that can develop on your glass shower doors. If you have noticed soap scum in your bathroom, there are several steps that you can take to restore your shower doors to a clean and sparkly condition. To clean soap scum, you can use a cleaning product that has been designed for shower enclosures. Once you have sprayed on the cleaning solution, you will be able to easily scrub away the soapy layer. If your bathroom is in need of an update, you may want to consider a shower door replacement. A glass company located in Houston can help you choose beautiful new shower doors for your bathroom. To take a look at the steps of removing soap scum, check out this video from Monkey See.